Made from 80 gsm Recyclable, Non-woven Polypropylene. 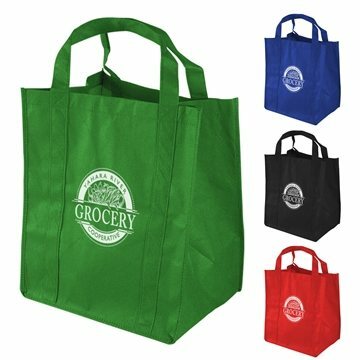 13" x 15" x 10" with 20" Handles Each bag includes a fabric-covered card to reinforce the bottom at no extra charge. Wished that they were less if one ordered more. We'll certainly be using Anypromo with this next order! the logo print is clean and centered and looks good. Love the items. Your website is simple to use and response from customer support is quick. Loved the merchandise, received positive comments. clarity is great!